Brigadeiro: Reminder and Recent buy (Rag & Bone Newbury booties): Today is the last day for 20% off at Shopbop! 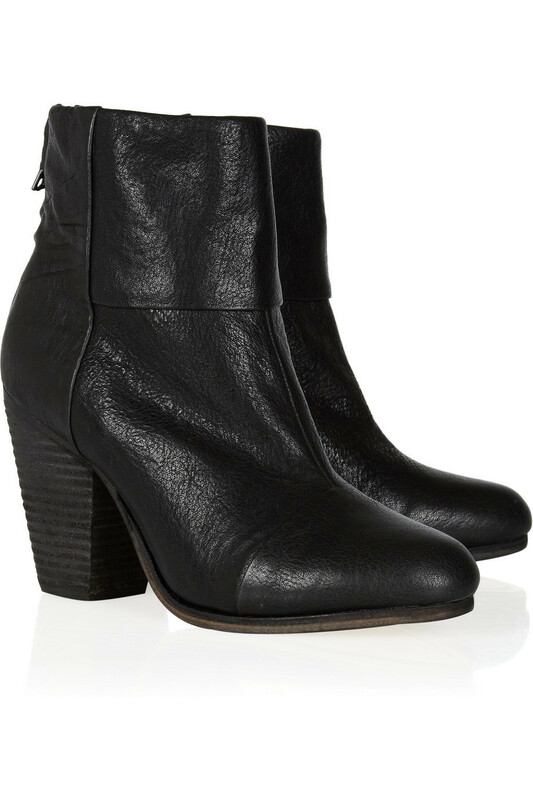 Reminder and Recent buy (Rag & Bone Newbury booties): Today is the last day for 20% off at Shopbop! Just a quick reminder that today is the last day to use the code below for a 20% discount at Shopbop! Just click on the link or picture below, and enter 'inthefamily20' in the discount code box to get 20% off your purchases! 2 Days Only! Shopbop Friends and Family Sale! I just bought myself the Rag & Bone Newbury boots in black leather (saving $100 - not bad! ), am hoping they are as comfortable and versatile as all the reviews describe them to be, and that they aren't too small (I bought my usual size as they didn't have the next half size up). With the colder weather coming soon, I hope to get a lot of wear out of them. Have you bought anything using the code? If so, what did you get? I ordered this in black. It's hard to tell from the pics, but it's supposed to have that shirt tail curved hem--it's the closest I can find to the Rick Owens style, without spending 3 figures on what is essentially a wife beater, and the RO ones look way too see through for me anyway. They didn't have the xs so I got the s, hopefully it doesn't stretch out too bad like the reviews says. Sometimes I think of buying the fabric and just having them made for me.